A captain of industry. A beggar. A motion capture performance artist. A horrific creature. A father. An accordionist. A hitman. A victim. A dying man. A lover. A family man. These are the "appointments" Monsieur Oscar (Denis Lavant) must keep over the course of single day. He travels throughout Paris in his white limousine, transforming from character to character, plunging headlong into each part, accompanied only by his chauffer and confidant Céline (Édith Scob). 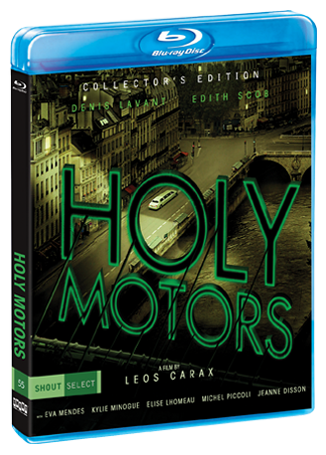 His journey from life to life takes him on a ravishing, shape-shifting, fever dream of becoming, unraveling and starting all over again. 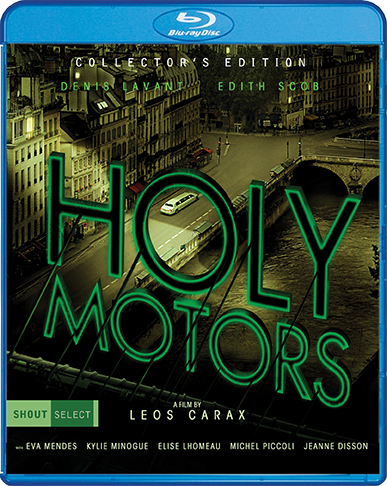 Directed by acclaimed filmmaker Leos Carax (Pola X, Boy Meets Girl), and featuring Eva Mendes and Kylie Minogue, Holy Motors is a genre-melding experience that encompasses monster movie, film noir, romantic drama, musical, crime thriller, science fiction and fantasy. "Merde" Segment From The 2008 Feature Film Tokyo!